The Psilocybe Tampanensis is also called The Philosopher’s Stone or Mushrocks. It will not surprise you that the Tampanensis or Philosopher’s Stone will give you a deep trip. Deep thoughts and very pleasant insights will be the result. You will be amazed by the impressive visuals you will experience. Especially with your eyes closed the visuals are very impressive. Try it and feel like a real philosopher! You will not be disappointed! The Tampanensis was fist found in nature in 1977. Dr Steven Pollock discovered this magic truffle in Tamp, Florida. Hence the name Psilocybe Tampanensis. 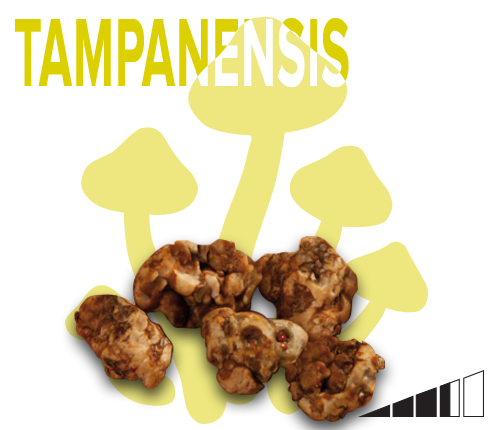 Some time later, around 1978, the mycologist Paul Stamets found a way to cultivate the Tampanensis. The first Philosopher’s Stone was born. In the Netherlands the Philosopher’s Stone is also called ‘tripknol’ or ‘triptruffel’, in addition to Tampanensis. 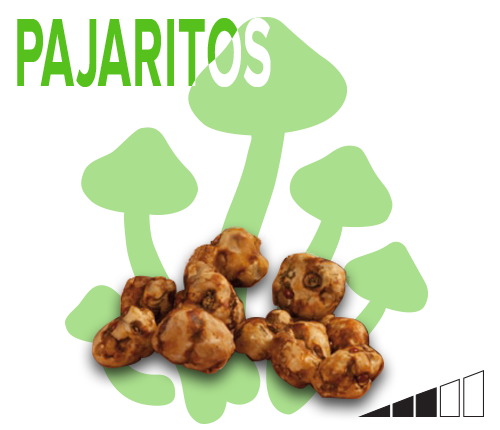 This species of magic truffles is somewhat strong so beginning users should be very careful with their dosage. You can really go very deep with this truffle and completely lose sight of your sense of time and space. Complete silence or the rustle of trees or the sea can be very pleasant during a trip on Tampanensis. Experienced users can take a whole portion, beginners are best off taking half. 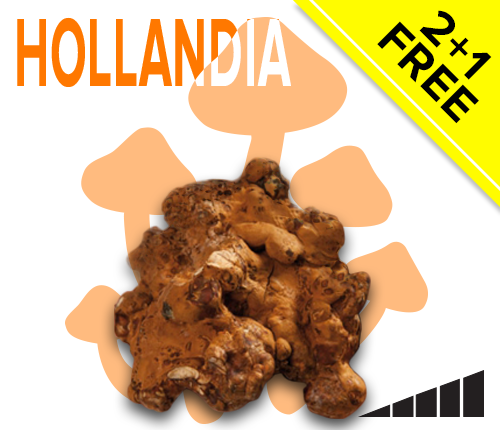 After trying the Hollandia…wanted to give Tampanensis a try. Package came after 4 weeks…twice the time as the first which had me worried at first. Yeah, the taste is not the best…but in five minutes they are gone. Had a great 3-4 hour trip from the 15g. Def worth it. Well this was my first experience and it was a good one! I only wish the giggles, wonder, and awe lasted longer so I give it a 4/5. I ate about 2/3s of it at once. After the first hour, I ate the rest. I didn’t experience any nausea and felt real goofy for about 3 hours. The visuals were all right, and overall, I’d say it was a good and easy experience. I would recommend it to other curious beginners. Also, it took about 2 weeks to deliver to the USA, which is okay IMO. I will be trying the Hollandia next. My friend and I took half a dosage last night, roughly 7.5gm each as we wanted to just test the waters. I want it to be noted that we had a massive dinner prior. We felt barely anything??? Can eating really drown out the effect?? I feel that even on an empty stomach and taking the whole dosage (15gm) that it would not of had a significant effect. Shared one serving of tampanensis with a friend, very nice. Powerful wholesome feeling, very positive vibes and mild visuals definitely recommend. Done these in amsterdam and was told it’s like ecxtacy and it 100% was! I went out to a floating warehouse party and was best night of my life hands down, no real tripping as hallucinations but was an amazing feeling would do again! If you at any stage feel skitzy or paranoid or like it’s not going to go well relax have a glass of orange juice and your trip will be sorted! My experience with these truffles is just…wow! Both me and my boyfriend ate the whole pack of it in the forest and then we walked to find a nice place to sit down. Suddenly after 30 minutes we could feel our muscles relax one by one until we just randomly lied down on the ground. Our senses sharpened, colours were really bright and powerful visuals were escalating 1 hour after consumption. With eyes closed I could see beautiful colours, complex and vivid images, symbols, patterns accompanied by freaky music and thoughts, which were clear and developing according to my “need”. Sometimes I could control it, sometimes I just kinda lost my train of thought and let it flow. After the amount we took, out of body experience is definitely possible…But the most wonderful thing is to share all this with somebody you really love! Take your time to create perfect setting for this kind of experience. It’s important to be content with yourself, because truffles are intense way of confronting oneself…be careful…and enjoy. I highly recommend. First of all sorry for my English, I’m Spanish. I must inform you that I am quite happy with your truffles, expected to be more loose but are really powerful. The trip was really well, I was with my friends in a house in the countryside because we were going to eat 6 portions for 8 people. The girls ate the softer: Mexicana and Pajaritos. The boys ate the strongest: Hollandia (Wow! ), Atlantis and Tampanensis. For almost all people the experience was as followed: initially they started small visual effects and an uncontrollable laughter, then intensified visual effects, things changed color and shape. The faces of my friends had waves and changed color. A painting in which there was a woman, became a painting with a man! Personally, I lost track of time and I didn’t know what time or day it was, it was like being in a dream in 3D hahaha!!! Lasted some 4 or 5 hours, was going down slowly and the best part is that after the trip you are very well! On the other hand, I am also very happy with your service, you are really fast and discrete. In the coming weeks we will send another order, me and my friends have been very pleased. 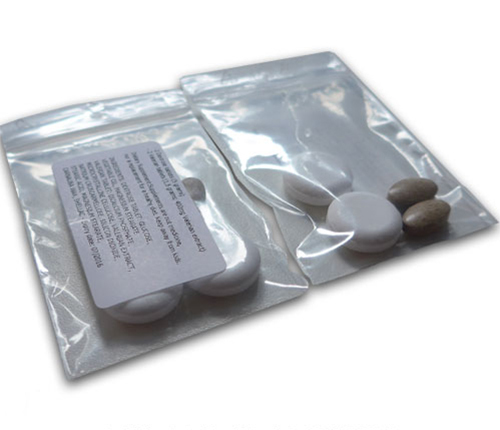 Ordered the Psilocybe tampanensis. Shipping was fast, just received it today in the mail. Ate all of it on an empty stomach, onset came on after 30 mins, I was laughing non stop & music sounded better. After about an hour I started seeing open & closed visuals, pupils definitely dilated. Will be ordering again very soon. A great trip between this and the second world, is good to have someone with you . Highly recommended Best Mushrooms ever!